One can adapt this recipe according to his/her personal preferences. 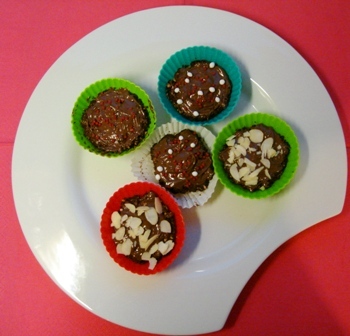 Just mix and match the ingredients to get a different result each time by adding different seeds, nuts or fruits. It can be wrapped and freezed. 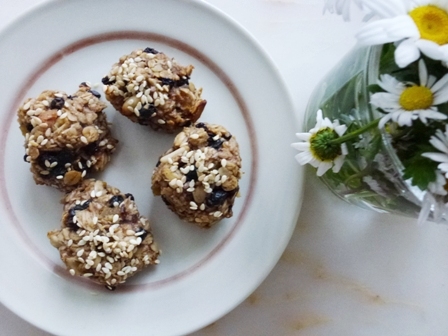 They are absolutely delicious, super easy to make and healty. 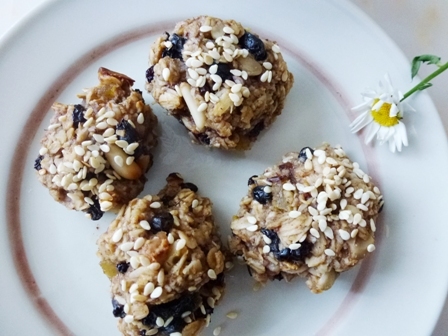 In a bowl, combine rolled oats with olive oil. Stir mixed nuts, dried fruit, cinnamon, cloves, ginger and nutmeg. Add mashed banana with chocolate chips and pine nut. Stir well and evenly mix them altogether until they are combined. Form balls with your hands. Bake at preheat oven 170° C for 20 minutes until the edges are golden brown. Before ending the grape season, I bought seedless grapes from the market, to make a grape must cookie. Baking soda is the primary ingredient of this recipe. It is used in recipes that contain an acidic ingredient, like grape must. 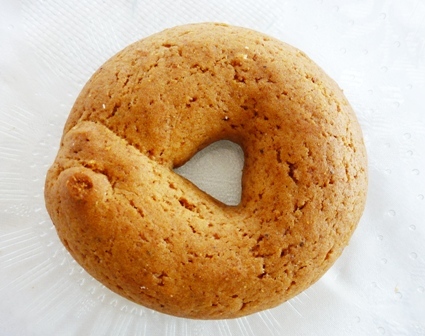 It gives tenderness to the soda cookies and when it is sealed in a container, has an indefinite shelf life. Because of the grape must, these cookies are dark brown in colour. Combine grape must, olive oil, soda, sugar and honey. Stir cinnamon, cloves and cognac. Sift together flour, baking powder. Slowly add sifted flour to grape juice mixture. Add cognac mixture and mix until you get a soft dough. Using pieces of dough, roll snakes and press the two ends together forming oval wreaths. You can shape the cookies with a piping bag. Place them on a parchment covered baking sheet. Bake at 180° C for 30 minutes or until they are done. 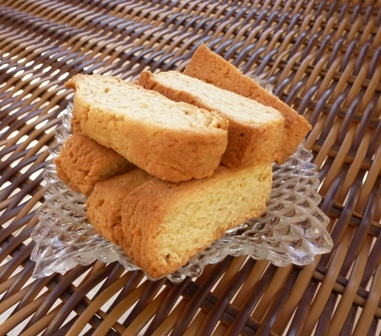 Traditional double baked paximadia with orange juice is a must, alongside with a cup of coffee in Greece. Combine olive oil with caster sugar. Add orange juice and cognac. In a separate bowl put vanilla, clove powder, cinnamon, grated nutmeg. 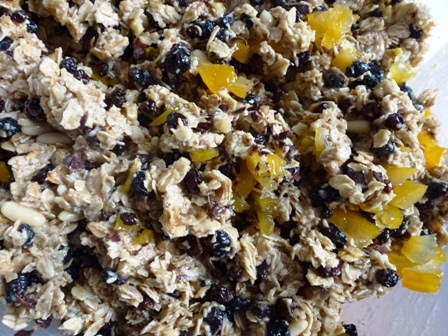 Stir liquid with dry mixture until the dough holds. Knead well by adding more flour as needed. Make a smooth and soft dough. Place the dough onto a greased oven tray and flatten the dough slightly with your hands about 4 cm thick. Divide the dough diagonally into four parts and place them apart to get 4 logs. Then crosscut each diagonal dough 1 cm distance, as seen below. Bake in a pre-heated oven 180°C for about 15 minutes. 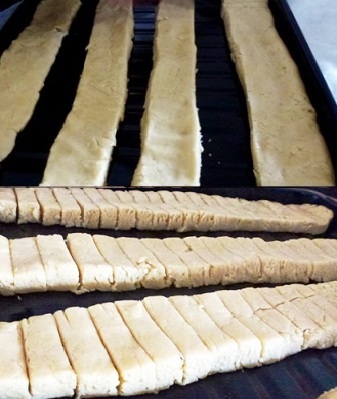 Remove the tray from oven and separate the slices and lay them again to the oven tray. Bake again at 170°C for another 20 minutes until dry and golden crunch. 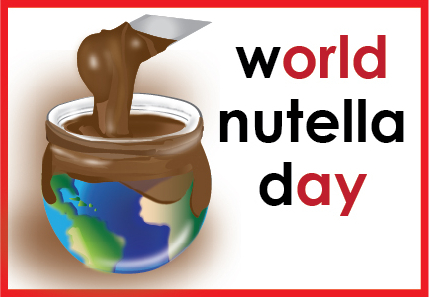 Today is the World Nutella (chocolate hazelnut spread) Day, an event hosted by Sara from Ms Adventures in Italy and Michelle from Bleeding Espresso. This year, I am celebrating it with these delectable cup cakes with incomparable miracle of Nutella! Toast the hazelnut in 12o° C oven until they are fragrant by watching them time to time. 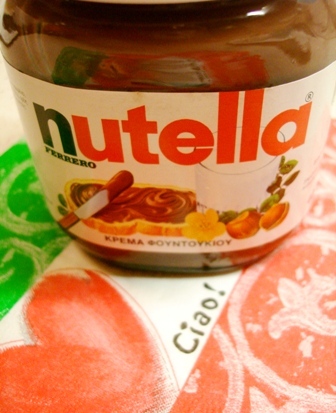 Beat egg with Nutella. Add flour, baking powder, cinnamon and hazelnut. Finally add cognac and mix until incorporated. Spoon the batter on greased cup cake moulds. Bake in 18o° C preheated oven for about 20 minutes. 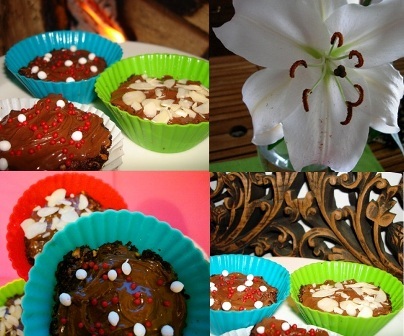 Spread top of each cup cake with a thin layer of Nutella. Decorate with candy sprinkles and flaked hazelnut. A classic Scottish biscuit, now enjoyed all around the world. Combine butter with caster sugar until smooth and creamy about 5 minutes. Stir in the flour to get a smooth paste. Add almonds. Cut into rounds, stars or other shapes with a cookie cutter. Place onto a parchment covered oven tray. Bake in a pre-heated oven 175°C until pale golden brown for about 15 minutes. 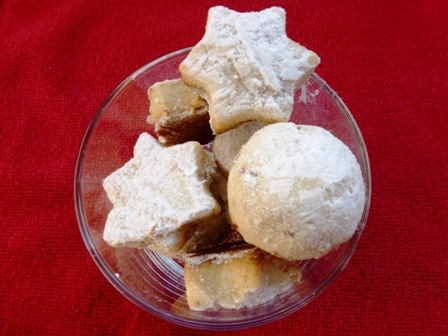 Dust cookies in additional caster sugar. 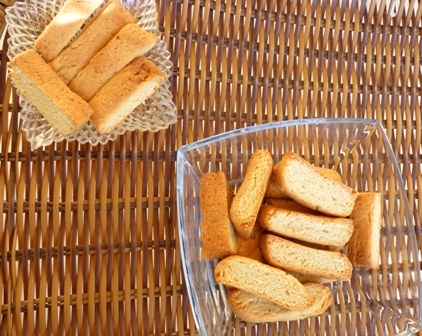 They will become firmer after cooling and melts in your mouth. You can find a similar recipe from here. 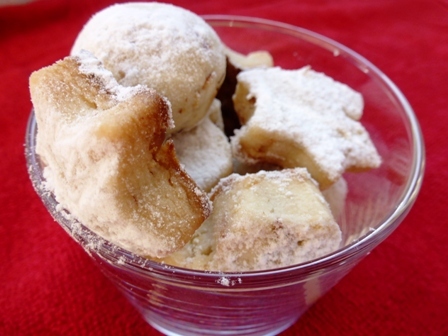 You are currently browsing the muffins & cookies category at Aegeaneating.